This Error Message Article explains the LABEL ARCHIVE error message “LABEL ARCHIVE connection information – Server connection failed” and details how to fix the underlying problem that caused it to appear. 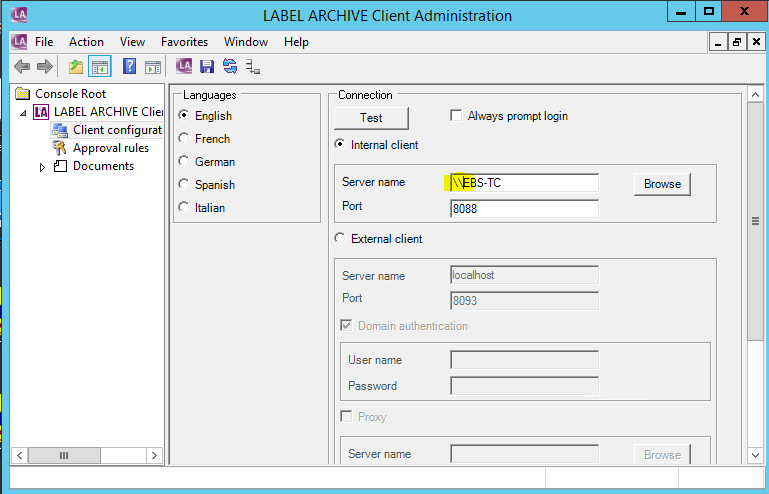 LABEL ARCHIVE Client cannot connect to the LABEL ARCHIVE server. This error message appeared when pressing the “Test” button on the LABEL ARCHIVE server Administration Configuration screen. It was caused by have “\\” preceding the server name.